My name is William Danny Honnoll. Most of you know me as Danny. 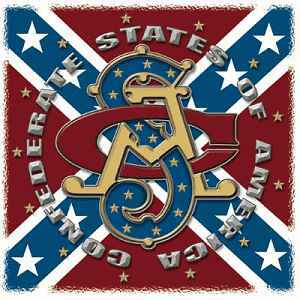 I have been a member of the Sons of Confederate Veterans since 1980. My Membership number is #238 and I am a LIFE MEMBER. "We make a living by what we get; we make a life by what we give"
My name is W. Danny Honnoll of the Col. Robert G. Shaver Camp, Jonesboro, Arkansas. 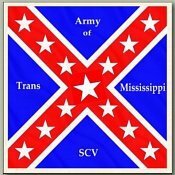 I am announcing for the position Commander of Army of Trans-Mississippi Sons of the Confederate Veterans. 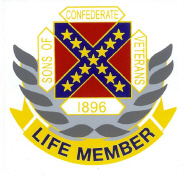 In October, I will celebrate 30 years of membership in the Sons of Confederate Veterans. In the past we have won some great victories but we have also had some setbacks. Our commitment to our Confederate Heritage must never waiver. I am a life member of the SCV and my membership number is 238. I am married and have two children and three grandchildren. I am retired from Southwestern Bell Telephone after thirty years of service. I currently manage my family’s property. Lee told us, “Duty is the most sublime word in our language. Do your duty in all things. You cannot do more. You should never wish to do less.” It is our Duty as Sons of Confederate Veterans to ever be on guard of our Veterans good name and honor! I have served four years as Arkansas Division Commander. I have been a camp commander, adjutant and brigade officer. I have also served as the Arkansas Division Chief of Staff and currently serve on the National SCV Relief Committee and Chair the SCV Awards Committee. I have been the National SCV Quarter Master in Chief for four years and am currently Aide to Camp of the SCV. I understand the fight. I have fought the fight. And together we will prevail against the harsh winds of revisionist history. I have presented historical talks on our Confederates all over the South and sometime in the North. Like I said in 1998, “We all have our Crosses to Bear in life, Mine happens to be a Southern Cross and I will Bear it Proudly Forever. Some of the achievements of my service with the SCV are: Robert E. Lee Gold Medal – 2005, UDC Lee-Davis Bi-Centennial Pin 2008, Graves Medal – 2006, Heritage Defense Medal – 2006, Capt. Isaac N. Brown Life Time Achievement – 2006, Commendation Medal – 2006, Commander in Chief Award – 2005-07, Distinguished Service Medal - SCV 2003, 05, 06, 09, Jefferson Davis Medal - UDC 2002, Meritorious Service Medal - SCV 2002, 2004, Capt. Isaac N. Brown Life Time Achievement – 2006 ADSCV, “Lee- Jackson Award” 1999 – ADSCV, “Thomas C. Hindman Award” 1998 & 2007 ADSCV, “S.A. Cummingham Award” 1998 ADSCV, and “The Dixie Club” SCV 1999, 2002, 2003, 2005 and 2007. The SCV contains hundreds of men willing to work for the betterment of this great organization. General Lee formed an army that became the World's GREATEST Army during its existence. Likewise, it is this cooperation that we, the sons of those veterans, will use to make the SCV into a more vibrant and progressive organization. A Confederation is by definition composed of different, independent sections. We do not all have to agree all the time, but we must stand together when outside forces would tear us apart. Our being a BAND OF BROTHERS is more than just a song. It should be our fraternal bond. I have a older brother and a younger sister, I know all about "give-and-take" situations. There are also times to stand and stand firm! Enough is Enough! Take the high ground that Lee took or like Forrest go down kicking the innereds out of our enemies. Our face must be pure, our cause must be just and our strength flows from our combined Christian convictions. I joined the SCV Sesquicentennial Society on January 19, 2010 - General Robert E. Lee’s Birthday. I encourage you to join the SCVSS to help support our celebration 2010-15. The funds raised in this effort will help build our SCV Museum Building Fund and to support the Bicentennial in 2060. If I do not have the privilege of meeting you before our national SCV Reunion in July – I would like to ask you for your vote and support in my effort to become your commander of the ATM. 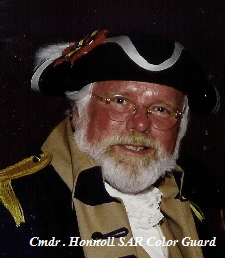 Browse our Web site at www.honnoll.com for more information about my involvement in the SCV - please e-mail me at danny@honnoll.com or me at 870-926-2985 if you have any questions.